Judith Sills: Media psychologist, keynoter, workplace consultant and author of "Excess Baggage: Getting Out of Your Own Way"
While it may seem counter-intuitive, the most powerful, important, and underutilized word in your own vocabulary may be "no." You've likely been told from a young age that you shouldn't say no - not to your parents, not to your teachers, and especially not to your boss. 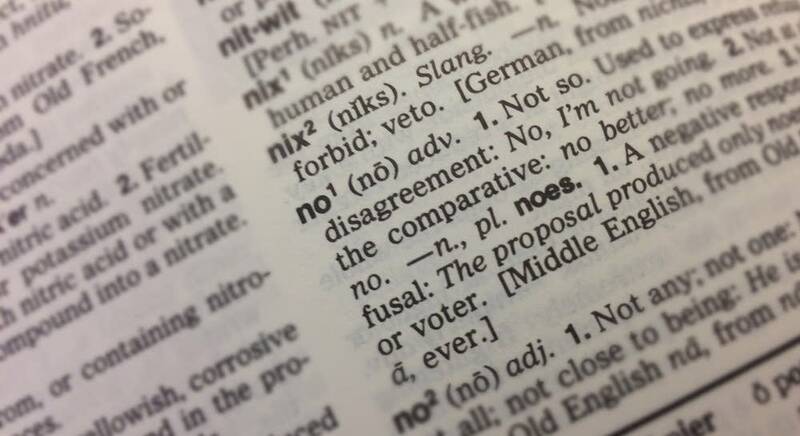 But when wielded correctly, saying no can be a great benefit in both your personal and professional life. Dr. Judith Sills wrote a piece for Psychology Today in November about the "Power of No:"
Where negativity is an ongoing attitude, No is a moment of clear choice. It announces, however indirectly, something affirmative about you. "I will not sign"--because that is not my truth. "I will not join your committee, help with your kids, review your project"--because I am committed to some important project of my own. "Count me out"--because I'm not comfortable, not in agreement, not on the bandwagon. "No, thank you"--because you might feel hurt if I turn down your invitation, but my needs take priority. The No that is an affirmation of self implicitly acknowledges personal responsibility. It says that while each of us interacts with others, and loves, respects, and values those relationships, we do not and cannot allow ourselves always to be influenced by them. The strength we draw from saying No is that it underscores this hard truth of maturity: The buck stops here. Sills joins The Daily Circuit to offer advice on when to say "No" and how to do it effectively.